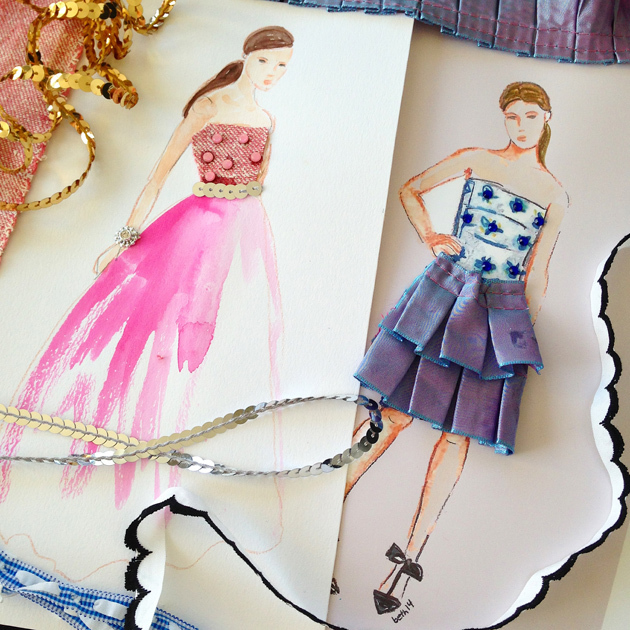 more paper dolls….or should I say textile dolls? 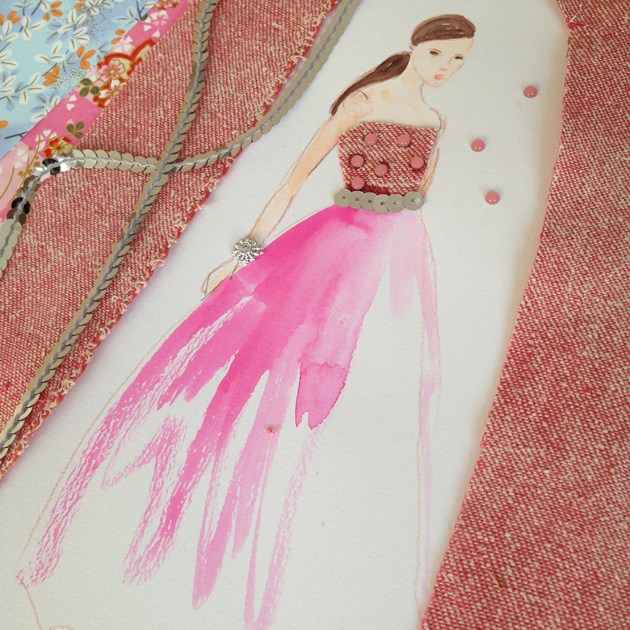 Today’s paper doll is embellished with a scrumptious silk tweed bodice from a recent trip to Mood Fabrics , a sequin sash and teeny tiny pink cabochons….. I could play all day with these dolls!